By Ashutosh KS in Desktop. Updated on July 19, 2016 . Dropbox is one of the most popular cloud storage providers in the market. It is great for storing photos and videos, hosting static websites, and safekeeping and sharing various other stuffs with friends and co-workers. Its wonderful features ease or solve many of our real-life problems, and it works so well that ironically it is the main cause we regularly run out of Dropbox storage space. Most of you who have been on Dropbox for a while will probaby have gone through the “Get Started” tour, which is basically Dropbox Basics 101. Just complete any five of the seven quests, which teaches you how to setup Dropbox on your computer or mobile device anyways, and you get a 250 MB as a reward from Dropbox. Tell Dropbox team why you love their popular cloud storage service, and they’ll be happy to offer you a bonus storage space of 125 MB in your Dropbox account. This might be handy if you don’t have many friends who are already on Dropbox yet. Getting them to join via your referral link gives you half a GB for every successful invite to join. With a cap at 16GB, it’s a maximum of 32 friends who can join via invite, doesn’t matter how many you invite (since not all of them will sign up for it, right?). 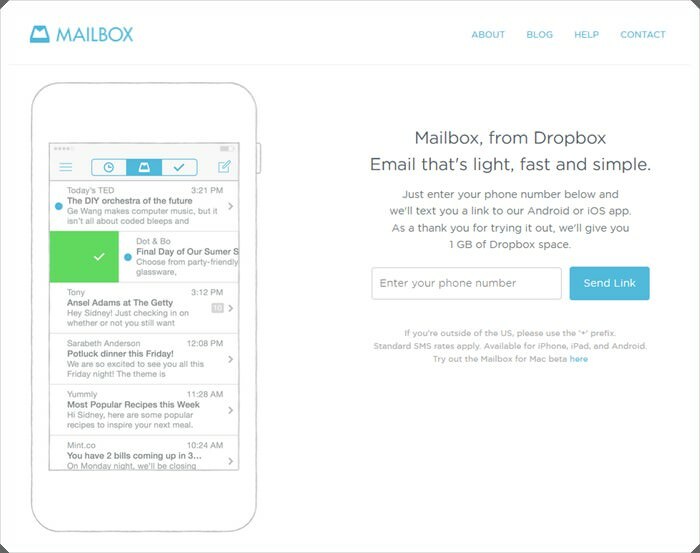 Mailbox is a light, fast and simple email application from Dropbox. Sign up and download Mailbox, and start using it to send, receive and manage your emails, and Dropbox will add 1 GB of extra storage space into your Dropbox account. If you use cloud storage to store your photos, then you should get Carousel. Carousel is the new media gallery from Dropbox for storing your photos and videos. It’s easier, prettier, faster and an all-around better way to view your Dropbox photos and videos. 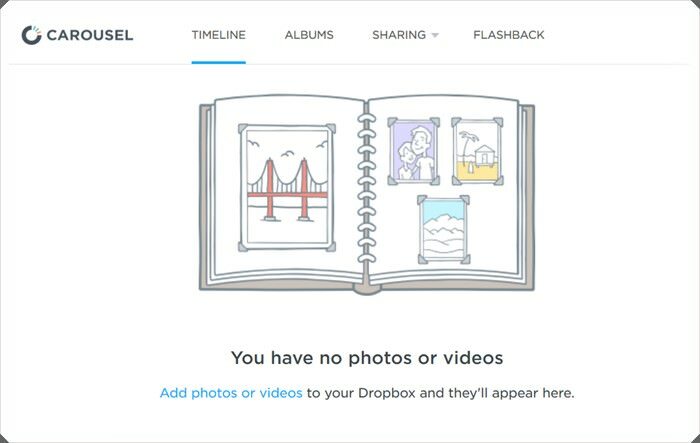 Start using Carousel and get 3 GB of bonus storage space in your Dropbox account. A select number of Samsung devices launched between 2012 and 2014 are eligible for free 48 GB free Dropbox space. Some will get it for 1 year, others for 2 years. You can look into the specifics here, but remember that once the promotion expires, you are back to your original storage capacity before you claim this promo. If you own or want to own an HTC device, there is also free Dropbox storage you can claim. If you have an HTC Sense 4.0, 4+ or 5.0 devices, you can get 23 GB for two years. 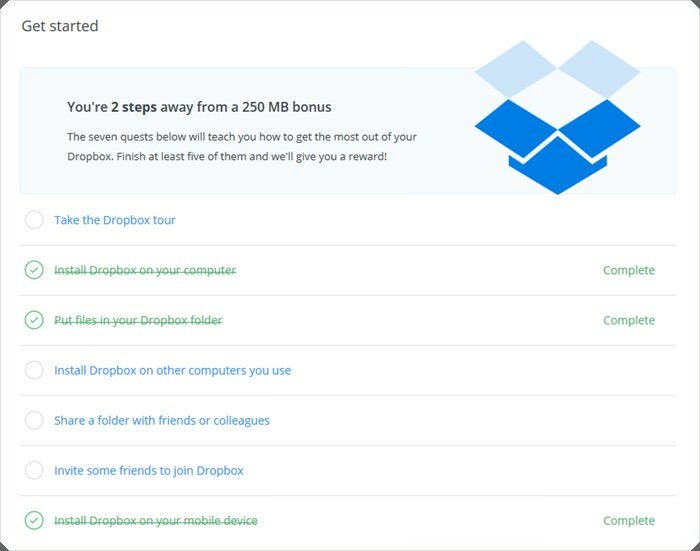 It will depend on whether your carrier is in on the promotion and if the Dropbox app is pre-loaded on your devices. Find out more about it here. Okay, this one is still free, but you will need to take some time off your busy schedule and perhaps throw away things you are reluctant to chuck out. Get rid of all the space-clogging files that you probably won’t need anymore. Backups can be stowed away in external hard disks or just deleted. Live in the here and now. There is 1 TB of cloud storage waiting for you in Dropbox Pro. Just upgrade your account to get that although you might want to make sure that you need that much space first. This is going to set you back $9.99 per month. If your company has the budget for it, you can always opt for Dropbox for business, it’s $15 per user per month, and there is unlimited storage for you to use. There is a free trial for 14 days.